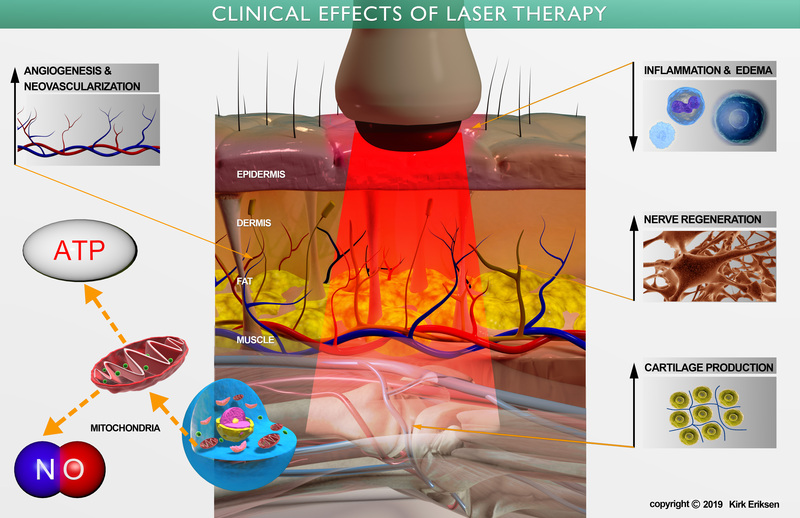 MLS Laser Therapy is a non-invasive, safe, and effective treatment modality where laser light is used to relieve pain, reduce inflammation, and promote wound healing and soft tissue repair. Our laser is the only multi- wave locked system, dual wave, fully robotic laser therapy system on the market. This means deeper penetration with no heat produced allowing faster healing with no known side effects. It has been cleared by the FDA since 2009. 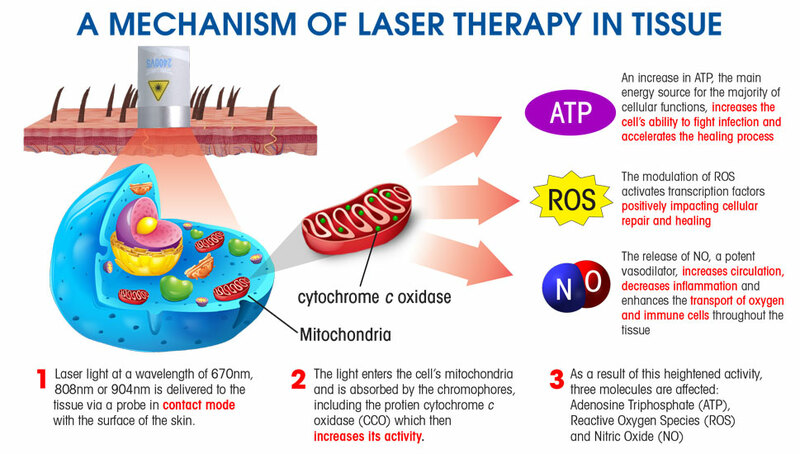 Click here to read a brief review of the science called Photobiomodulation, which explains how laser therapy works.